A team every day at your disposal. The reception is open in the low season (April, May, June and September) From 10 a.m. to 12 and from 3 p.m. to 7 p.m.
From 9 a.m. to 12.30 and from 3 p.m. to 7.30 p.m. in July and August. With regard to your post, an area « Post » to send your letters is free every day and you can buy there stamps, post cards, regional and derived products. Two sanitary blocks with toilet, basins, showers in individual cabins, special area for babies. You will find there extra compartments for your linen, other ones for the crockery and a receptacle for the chemical toilet. 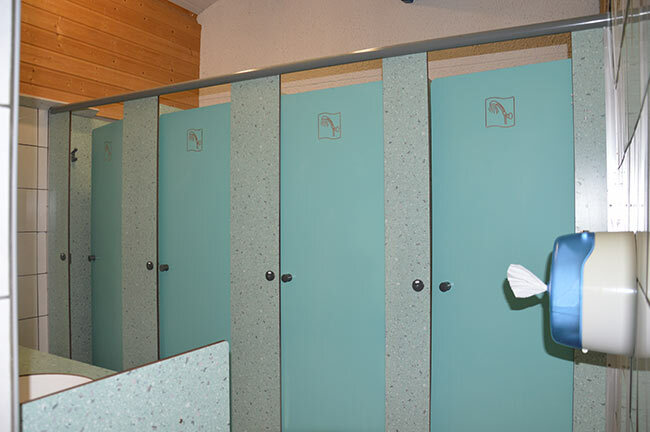 Our sanitary fittings are suited to disable people. Washing machine and tumble-dryer: free access. Token and washing powder on sale at the reception desk. Closing and security with a portal with a personalized badge which is open from 7 a.m. to 11 p.m. and a park place for the night for people arriving late in the evening. Somebody can help you 24/24 and there are video cameras all the year long. It’s open from 8 a.m. to 12 and from 4 p.m. to 8 p.m. in July and August. Breakdown service available everyday, bread, Viennese bread and buns can be bought, ice for the traditional campers, regional products, games for the beach, for children, items bearing the effigy of the camping. Open everyday in the high season from 8 a.m. to midnight. Large choice of beers, cocktails, aperitifs, wines, fruit juices, desserts and ice cups. 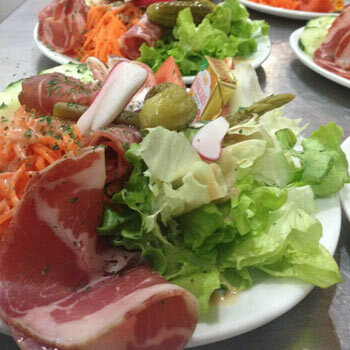 « A la carte » : burgers, salads, pizzas, paninis, roast meat. 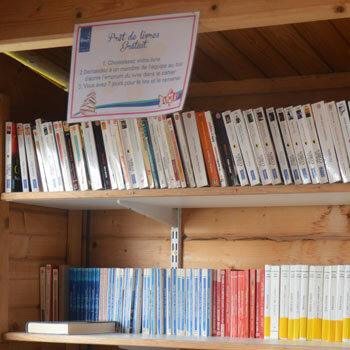 Library: we lend books for children and adults to read and relax. Selective sorting is set up: You will be given yellow bags at your arrival and they will be free at your disposal at the receptionl during your stay. Rubbish collection everyday in the high season.